The Naked Chiropractor exposes everything you need to know about back pain and the facts Chiropractors and Alternative Medical Practitioners prefer that you did not know. The inside story of the wars between unscrupulous practitioners and insurance companies. Behind the scenes stories about what's really going on at State chiropractic boards across the nation. A behind-the-scenes look at chiropractic written by a forty-three- year veteran in the field. Samuel Homola, D.C., takes a frank and objective look at chiropractic and concludes that its fundamental theory -that "subluxations," or the adjusment of misaligned spinal bones, will restore and maintain health- is false. This in-depth assessment of chiropractic, with true stories of injuries caused by chiropractors, arms the reader with reliable information to aid in making informed health care choices. 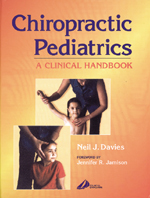 Included are chapters on the theory of chiropractic, immunization, pediatric, unproven diagnostics and therapeutics, serious risks, and informed consent. Help yourself to hundreds of books on alternative medicine from our selection of fine books. We work with Amazon.com and can save you money. Please browse this page, and if you don't find what you want, then just use the search engine above. The HealthWatcher Bookstores Online help support public education in areas of medicine, alternative healthcare that are often ignored by other bookstores. If you are confused about the issues, come to HealthWatcher for a great selection of books and tapes, on the subjects you want. not the folklore, this is THE book to get. This book has it all. Written by two pharmacists with broad training and insite into herbal medicine. Check the latest edition. This is PDR's first edition of the Family Guide to Natural Medicines and Healing Therapies. For objective reports on what works, what doesn't work, and what's harmful about going to an alternative medical guru or clinic, you can't beat the PDR's team of experts. the greatest hoax of the Century? As its title suggests, this book provides a sociologist's perspective on "healers...practising...outside the boundaries of conventional medicine". Easthope's narrative reports from the field enliven his analysis, which provides a social context for understanding the appeal and varying 'effectiveness' of both unorthodox and orthodox healers. The resulting book, concise and readable, contains much of interest from a general-semantics perspective. Although alternative medicine is now studied seriously in The National Institutes of Health and Harvard Medical School, questions of efficacy and practitioner motivation still cloud the topic. Alternative Medicine or Magical Healing attempts to give a balanced picture of the New Age healing movement and sorts out which treatments should be approached with caution or avoided, and which might be useful as complements to traditional medicine. Dr. Ulett was one of the first American physicians to study in China and Japan, and pioneered the use of acupuncture in this country. His long interest in holistic healing reflects an open-mindedness to other ways of treating and an interest in healing both body and spirit. Dr. Ulett is a past Director of the Missouri Department of Mental Health. He currently has a private practice in Psychosomatic Medicine and Psychiatry.